I can’t believe that I actually did not have to resort to blackmailing just to have Howe (my boyfriend) see a movie with me. I just told him that they’re showing the cartoon to movie about Thor, the God of Thunder. Based from the teaser of the movie, Iron Man 2, I’ve always known that they will create a movie based on the cartoon character, after founding a hammer in the middle of desert. I’m so glad that they did because he was Alex’s all-time favorite. So for my movie reaction, the movie was so full pack action with great graphics and hot bodies! LOL. 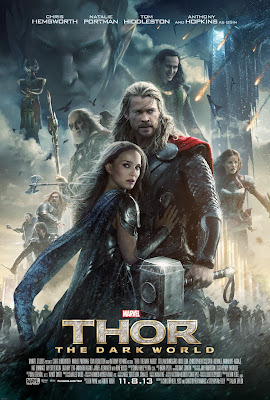 I like the performances of the actors, specially Anthony Hopkins and Natalie Portman. Even the weirdness of Loki, played by actor Tom Hiddleston’s above average. I think Tom could play several cartoon characters just like Loki. Sir Anthony Hopkins was very much engaging as a father who wanted everything for his son to be responsible and worthy of his throne. Natalie’s really a good actress and very believable. 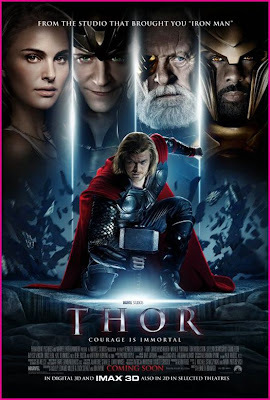 And Chris Hemsworth…he may not have the depth of acting of experienced actors but men! He have all the HOTS!!! LOL! It was funny when we saw this I was with Howe and I can’t help exclaiming with excitement! 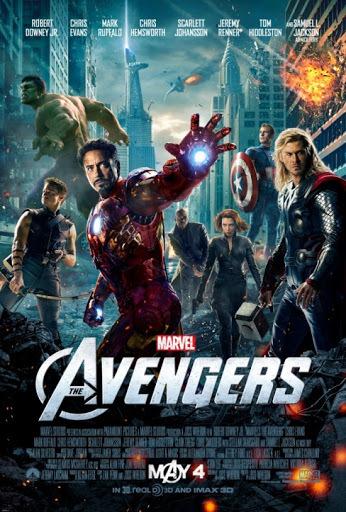 I’m giving this movie 4 out of 5 stars for effects, action-packed and full of hotness movie! I’m so pissed off, the entry that I created for this movie reaction was not saved because my laptop’s battery was not connected and I’m running on AC, then after taking my wee break, the post I created that was almost done was not gone because my laptop turned off and it was not saved. GRRRRR!!!! Okey so much for ranting…. Okey back to the movie reaction…. Have I mentioned that I love IRON MAN because of Tony Stark’s character and I love Robert Downey because of how he played it as if he’s not acting at all? Love it! Love it! I also got to laugh more in this second movie than the first installment. I wished that Tony and Pepper got to spend more time together. Yeah, yeah. I know it’s an action, scifi movie but I would love to see more action in the love department. I also love the effects on this one, same as with the first. I missed him putting on the IRON suit but at least we got to see him remove it in front of people. Howe and I really enjoyed the movie. We really did. Why? Because if I enjoyed a movie watching it and still enjoying while recalling the scenes, and worthy enough buying DVD/Blu Ray if not seeing it for the second or third time — and that’s what I felt. I’m giving this 4 out of 5 stars. If you have not seen it…GO NOW! While browsing the net, I saw the new Iron Man Movie Clip. Who does not love Robert Downey Jr here, eh? I really find older man dashing! Isn’t he? I can’t wait for the IRON MAN 2 to come out on May 7.